Government | Plexeon Logistics, Inc.
Government agencies need to make informed decisions. Plexeon proudly serves federal, state, and local agencies and offers value beyond cost savings. Government agencies can reap the advantages of implementing Plexeon’s premier IT and cloud solutions. With over two decades of experience, we understand the unique focus areas of government agencies and organizations. Whether you operate on a federal, state or local level, your standards for technology are high because Failure is not an Option. Plexeon is dedicated to understanding each area of your Agency operations so we can implement IT solutions that make sense and protect your data. Plexeon is an ideal IT partner and vendor for government agencies because we offer a suite of capabilities that can help your Agency operate in a streamlined and cost-effective manner. Government agencies can take advantage of premier IT and cloud solutions and support to ensure that critical data is accessible and protected. We offer enterprise IT services at costs that make sense for your organization. We protect your data with our cyber security services that address the most current threats to government systems. You can feel at ease with how we store and backup data by leveraging our cloud solutions or data center IT services. We offer hybrid and customized IT solutions to fit the infrastructure of your agency. We know that, typically, agencies cannot afford costly in-house IT teams. Plexeon provides you with enterprise-level IT Services and Solutions at our best rates. Our “Virtual IT Partnership” gives your Agency access to a comprehensive suite of tools and processes that take advantage of our Infrastructure and expertise. Plexeon will design and effectively manage your day-to-day IT needs while we provide strategic guidance to make sure you get the most from all your IT investments. Government agencies are at a high risk for data breaches and cyber threats of all kinds. Plexeon offers cybersecurity solutions to protect federal, state, and local government agencies and help them prevent, detect, and respond to cyber attacks. It is critical that the IT infrastructure of your Agency addresses the risks that stem from the continuously changing environment of threats. We work with several partners that provide IT modernization services. We work together to offer your Agency integrated layers of a security ecosystem that allow you to focus on your Agency priorities while we protect what matters most. For any Agency, servers, storage, and operational critical systems are the core components of your data infrastructure. Deciding on how to maintain, support, and provide alternatives for data protection and disaster recovery for an existing server is one of the most important technology decisions your Agency can make. Your Agency needs a thorough, effective digital strategy. In order to achieve your organizational goals, Plexeon provides professional consulting services to make sure you have what you need to achieve your goals. We also specialize in office builds and migrations, which can be the blueprint for effective IT operations in your Agency. 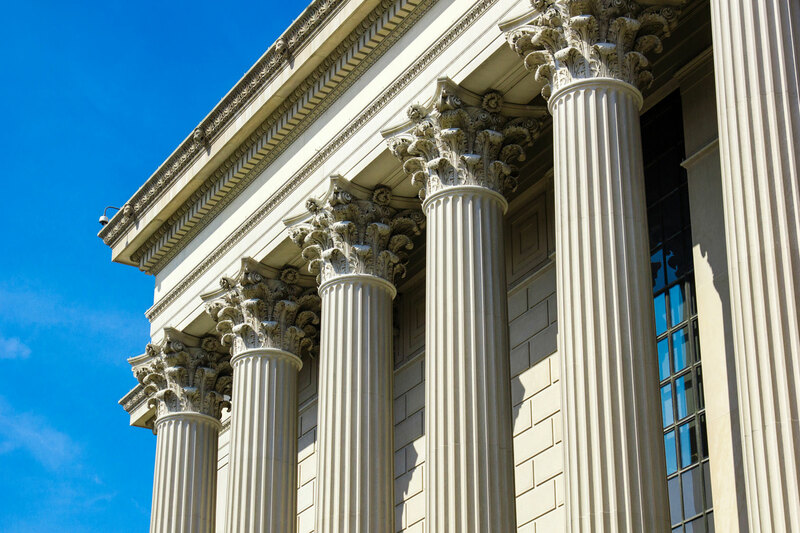 Our advisory and management services help government agencies implement the technologies they need. Plexeon is proud to offer Solutions as a Service (SaaS) that include: PaaS (Platform as a Service), DRaaS (Disaster Recovery as a Service), IaaS (Infrastructure as a Service), and EaaS (Email as a Service) solutions to support your Agency. The PaaS platform is a cloud that enables us to deliver hardware and software solutions for your Agency over the internet. DRaaS is a category of cloud computing that protects your data from disaster by enabling a full recovery in the cloud. Through our IaaS cloud infrastructure services, we can monitor and manage your information from our remote data center infrastructures to save you money on hardware costs. Our EaaS cloud computing service allows your Agency to incorporate a strong process management strategy with powerful enterprise governing service layers. Your Agency equipment that stores information needs reliable solutions that store and backup all of your data. Our solution is geared to meet the important demands of your Agency that fit within your budget. Plexeon provides the valuable data backup products and services for your Agency because we know that reliable data backup plan is a critical component of your operational success. For over two decades, Plexeon has provided strategic IT solutions for government agencies. Are you leveraging an IT vendor with Plexeon’s world-class IT services and proven track record of expertise for your Agency? Past Performance — Plexeon has provided its solutions and services to government agencies, including the U.S. Army, U.S. Air Force, state and local governments, and municipalities and multi-owned utility companies. Cisco offers products and services used to develop and connect local or global networks. Microsoft Corporation is a multinational technology company that develops, manufactures, licenses, supports, and sells computer software and related services. VMWare offers professional technology software. They are known for creating VMotion technology, which allows users to run virtual machines. Hewlett Packard Enterprise offers a variety of software and service technology solutions.